The Design of Automatic Control System of Compression Moulding Machine for Precise Control SHI Yanchun;Shenyang Feichi Electrical Equipment Co.
Study on Coupling Characteristics of Lightning Indirect Effects Simulation of Aircraft Cables JIN Jiajia;SI Xiaoliang;WANG Youhua;QIU Shanliang;WANG Sen;LI Zhibao;ZHANG Song;Hebei University of Technology;Aviation Key Laboratory of Science and Technology on High Intensity Electromagnetic Environment Protection;Anhui Provincial Aircraft Lighting Protection Laboratory;Hefei Tai-electric Physical Technology Co. Analysis and Revelation of Power Failure of 10kV Plant in Xiaolangdi Power Plant GAO Kaiyang;LUO Tian;CHEN Ling;Xiaolangdi Hydro-junction Management Center of the Ministry of Water Resources of P.R.China;Yunnan Heyu Investment Co. Cause Analysis and Treatment of Temperature Jumping of Bearing Bush in Hydro-generator Unit LI Yanghua;Guizhou Beiyuan Electric Power Co.
Optimal Design of the Retrofit Scheme for the 220kV Outgoing Line Yard Grounding Device of a Hydroelectric Power Station ZHANG Hongkun;LI Fei;ZHENG Zhiyong;YANG Tingfang;Baishan Hydropower Plant;Changsha Kezhi Lightning Protection Engineering Co. Innovation and Application of Dynamic Balance Technology in Tianwan Nuclear Power Station FANG He;Technical Support Department of CNNC Jiangsu Nuclear Power Co. Analysis of Coastal Wind Speed Characteristics Based on Distributed Optical Fiber Technology LI Xun;XIANG Zhen;HUANG Ronghui;XU Shu;PEI Huikun;WANG Rong;Shenzhen Power Supply Bureau Co. Virtual Three Phase dq0 Transform Based on Delayed Closing and Its Simulation and Application Study on Dynamic Voltage Restorer HUANG Le;Meizhou Power Supply Bureau of Guangdong Power Grid Co.
Design of Remote Monitoring System for Heat Treatment of Cable Accessories YI Hua;WANG Fusheng;HAO Linna;National Network of Shanghai Municipal Electric Power Company Training Center;Shanghai Sanyuan Cable Accessories Co.
IEEE Standard Based Calculation of Storage Battery Capacity in DC System WEI Yuan;LI Ying;LI Huiyin;Power China Kunming Engineering Co.
Study on the Charging Characters of Super Capacitors and Design of the Voltage Equalization Circuit LING Si;HUANG Zhihui;MENG Qinghuan;Zhejiang Lingao Electric Industrial Co. Discussion on the Location of the Public Distribution Station in the Super High-Rise Building ZHOU Jiawei;WANG Cunliu;YUE Bingxing;WU Jinrong;HUANG Hua;State Grid Suzhou Power Supply Company Suzhou Electric Power Design Institute Co.
Study on Sealing Rain Proof of Substation Mechanism Box and Analysis of Common Mistakes GUO Wei;SUN Yahui;State Grid Fujian Electric Power Co. Analysis and Discussion on the Handling of SF_6 Gas Leakage of GIS Equipment ZHAO Huan;State Grid Fujian Power Co. Analysis on Transformer Excitation Current to the Differential Protection and Improvement Measures FU Chaoyong;China Nuclear Shaanxi Uranium Enrichment Co. Installation and Debugging Analysis of Power GIS Equipment GUO Zhonghua;China Railway 12TH Bureau Group Co. The Reason and Solution for Low Insulation Resistance of Generator Rotors and Stators CUI Zhongqing;Guodian Bengbu Power Generation Co. Cause Analysis and Treatment of Pressure Drop Lockout Reclosing Signal Sent by Circuit Breaker of Hydraulic Mechanism LI Jianpeng;LIU Juan;State Grid Hebei Electric Power Supply Co. Discussion on Energy Saving of 110kV and Below Substation Systems for Power Supply and Distribution in Factories PU Xianghua;Panzhihua Iron and Steel Group Mining Co.
Live Detection of SF_6 Leakage for High-voltage Equipment Based on Infrared Radiation Imaging Technology CHEN Chunhua;ZHOU Duojun;Zhanjiang Electric Power Co.
EMC Mode Urban Road Lighting LED Street Lamp Energy Saving Transformation TAO Wei;Chongqing Liangjiang Smart City Investment Development Co.
Development of Rotatable Multi-Angle Grounding Wire LI Yongqin;YANG Zhiping;CHEN Zhihong;BIAN Ruien;Heyuan Power Supply Bureau of Guangdong Power Grid Co.
Design and Implementation of Charging Pile Heat Dissipation Technology TIAN Jian;Nanjing INT Electric Co. Relationship Between Abnormal Oil Level of Transformer and Expander JIN Xing;Baoding TianWei Instrument Transformer Co. Discussion on Type Selection of Voltage Transformers in 6～35kV High-voltage Switch Cabinets HUANG Yumei;LI Zhijian;XIE Sheng;WU Jiaqi;CRRC Zhuzhou Mechanical and Electrical Technology Co.
Development of Relay Action Characteristic Tester for Relay Protection Operation Box LI Binghuang;WANG Yongzhao;ZHUANG Xiaohe;State Grid Fujian Power Co. Implementation of Modbus Protocol General Interface for Substation Communication Manager WANG Yufeng;LI Ruiming;CHEN Xianyong;ZHU Chongyang;XuJi Electric Co. 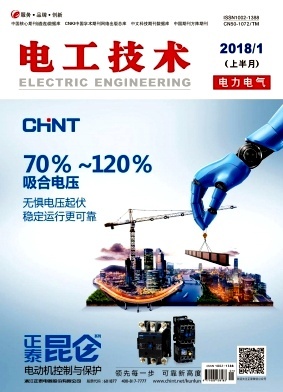 Analysis of Scheme of High Voltage Circuit Breaker Anti-trip and Monitoring Loop WANG Fengchong;WANG Qian;HAN Benshuai;State Grid Shandong Power Company Qingdao Power Supply Company;Shandong Electric Power Engineering Consulting Institute Co. Discussion on Installation and Commissioning of 110kV GIS Equipment HU Fangge;Hunan Electric Power Service Co.